Those of you that follow me on Facebook have heard about my new venture... Citrus Spices. All of my recipes include these basic spices, so I thought I'd bottle it up for you and make your life a little easier! I will give you all more details in the coming weeks... there will be plenty of goodness to go around! 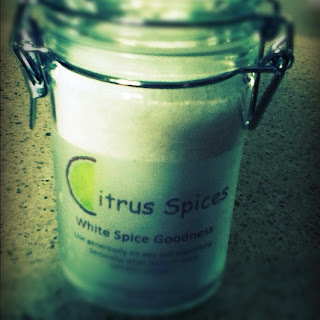 We will have White Spice Goodness, Signature Goodness (also known as Michelle's Essence) along with many other Citrusy Goodness blends. Stay tuned!